It’s at times like this that mother nature really shows us who’s boss. We strut around the planet, utterly convinced that we’re top dog. We bulldoze rainforests, we harvest crops, we raise animals for our agriculture, we lay down roads and we build vast jungles of concrete, glass and steel. It’s almost enough to give us an illusion of control. Enough to lull us into a false sense of security. And then the weather takes a turn for the worst and our entire world is plunged into chaotic disarray. 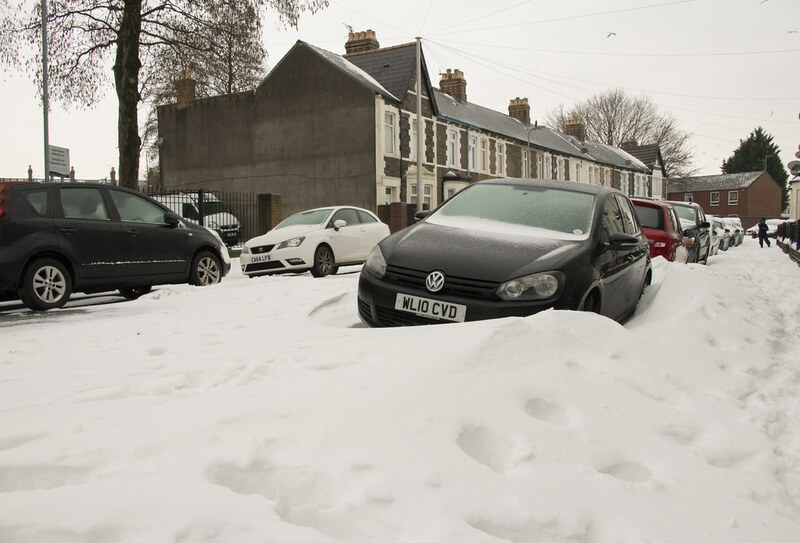 When Storm Emma hit the UK last week it seemed like everyone was feeling the effects, whether they were unable to get to work or school because of a decimated transportation sector, or because their job was rendered extremely difficult or next to impossible by the cold weather, or because they realised just how ill prepared their homes were for the sudden and ruthless cold snap. It seems like we Brits are forever discussing (a euphemism for complaining about) the weather, and yet we never seem completely prepared for it, either at a personal or a ministerial level. Whether it’s inadequate flooding defenses or road salting the government have demonstrated that even with prior warning that they are ill equipped to prevent the life threatening fury of the Arctic storm. While most of us have been personally unaffected (at least in any meaningful way) by this disaster we should not just send our thoughts and prayers to those who have been injured, declared missing or killed by the storm. We should solemnly consider those who’ve been more profoundly affected than ourselves, but we should also think about how adequately we prepare ourselves for extreme weather and re-evaluate the lifestyle choices that might see our lives negatively affected by the cold. After all, we’re not out of the woods yet and while the cold appears to have abated, we’ve still a while to go before spring sets in completely. I imagine most of us have given our home’s resilience to the cold some serious thought, but I’m are we’ve also considered how unfortunate the unforgiving cold must be for those who don’t have the luxury of a home, and must endure life on the streets in such harsh conditions. If you’re lucky enough to own your own home, you likely didn’t give much thought to its ability to withstand the cold when you bought it. While this is perfectly understandable, it’s also led many of us to see out the past few days huddled up beneath a duvet, leaning into a fast-cooling mug of hot chocolate. There are many aspects of our home that we don’t realise are inadequate until it’s too late, and a lot of us have experienced the cold far more than we expected to within the cosy confines of our own homes. Since we never know when the next Storm Emma will strike, it’s worth giving some serious consideration to the little things around the home. The chances are that your home has UPVC energy efficient windows and doors in line with regulations from the British Fenestration Rating Council (BFRC) which are compulsory in modern construction. This does not, however, mean that you’re getting the best possible protection from the cold. BFRC ratings go from A++ to E, and while the bare minimum quality of windows and doors is a C rating, there’s a big difference between an A++ and a C rated window. These ratings are based on how well a window or door is able to retain heat, prevent cold from seeping into the home and absorb solar heat energy. Whatever your style you can change your homes look and stay warmer (and save a fortune on heating bills) by upgrading. You can design UPVC doors online to get an accurate idea of what your doors (or windows) will look like before you commit to buy. If you’ve noticed a chill coming from your windows an upgrade may be long overdue. On the other hand if you’ve felt that your radiators have been anemic in defending against the cold there may be some issues with your radiators or your boiler itself. Try bleeding your radiators and putting some radiator additive in there. This will increase the surface tension of the fluid in your radiator, allowing it to stay hotter for longer. If your radiators still don’t feel so hot there may be an issue with your boiler itself. If the pilot light is burning yellow instead of blue or you notice strange smells or noises coming from it, the boiler may have to go. Is anyone else’s face still stinging from venturing out in the furious wind, ice and sleet? If the underside of your nose looks like a flapjack and your skin has taken on a flaky and blotchy tone you may need to reconsider how well you prepare your skin for the cold. While cold weather can actually be beneficial to the skin (it clears your pores, tightens your cuticles and keeps your blood vessels responsive) it can also impede the flow of moisture and nutrients to your skin, making it appear dry, dull and lifeless. Be sure to stay hydrated and moisturise regularly. Remember that on cold clear days your skin is every bit as vulnerable to UV rays as in warm weather so be sure to use a moisturiser with an SPF factor. We all have a wardrobe full of outdoor coats but it’s at times like these when we realise just how inadequate most of them are to shield us from the ravages of cold weather. We tend to apply the same criteria to our winter coats as we do to virtually everything else… How good does it look? If you spent the past few days wrapped up like an eskimo yet still felt the chill through your clothes, you probably need to re-prioritize what you look for in a winter coat. Avoid cheap synthetic fabrics like acrylic and polyester as these will not give you adequate protection or let your skin breathe increasing your chances of unpleasant BO. Wool is the obvious choice but for the vegans amongst you, cotton, linen and hemp are equally good choices. Be sure to buy on the large side so that you can layer your clothes underneath.